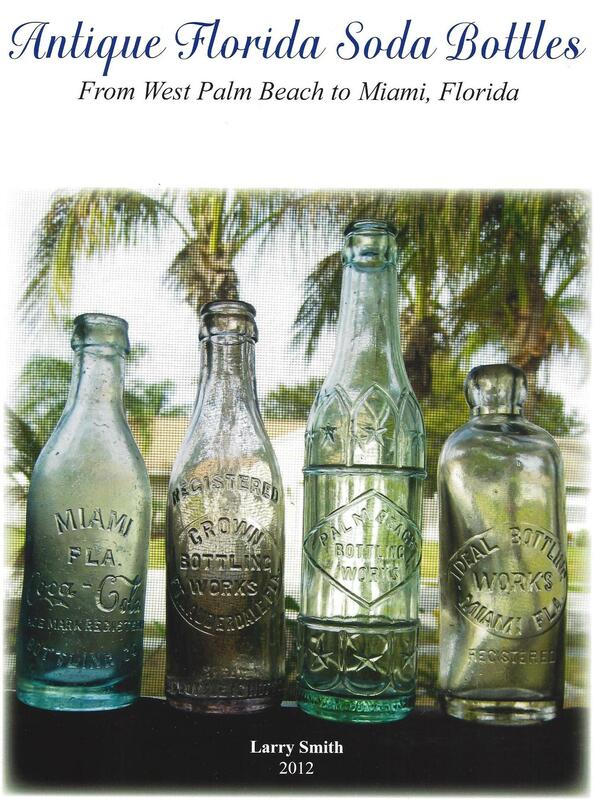 Larry Smith's newly published book, Antique Florida Soda Bottles - From West Palm Beach to Miami, Florida, covers Hutchinsons, BIMAL and ABM crown tops (including hobbleskirt Coca-Colas) from West Palm Beach, Fort Lauderdale, and Miami, Florida. In addition to detailed bottling company histories, the book is profusely illustrated with top quality, full-color images of bottles, historic photographs, advertisements, postcards, and more. The cover illustration shown above and the following photo of West Palm Beach Hutchinsons are typical examples of the nice bottle images in this welcomed contribution to our hobby's growing body of literature. If you enjoy collecting early Florida soda bottles, this new, first edition book published in December 2012 might be just for you! Full-size 8.5" x 11" with large color photos, and 67 pages. 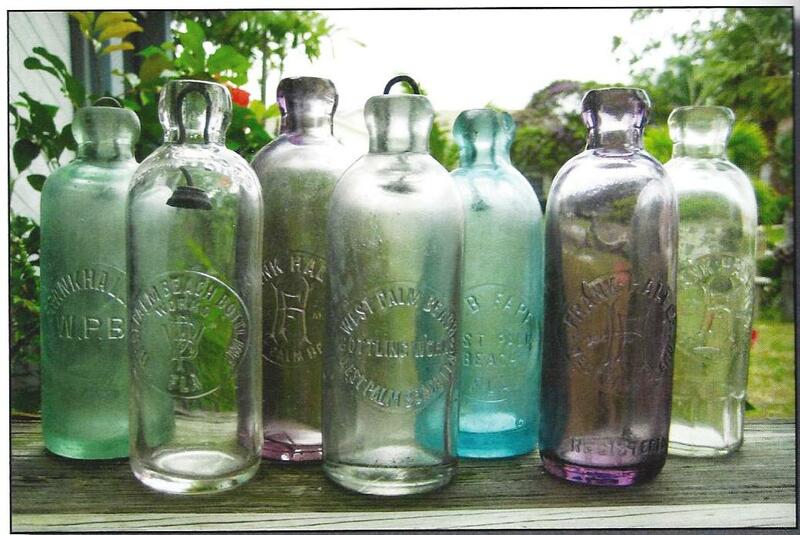 Covers all West Palm to Miami embossed antique soda bottles from the early 1890s to the 1940s. Included are Hutchinsons, crown tops, and Cokes. Book does not cover Applied Color Label sodas or medicines. All bottles are assigned a mold number, color and rarity. Author will sign books upon request. $25.00 Buy-It-Now + $3.00 for USPS Media Mail shipping and handling. Shipping to lower 48 states only. Thanks to everyone who has purchased both books and supports our hobby!